At the state level, game wardens work as fully-commissioned peace officers for the Washington Department of Fish and Wildlife and are known as fish & wildlife enforcement officers. Washington abounds in diverse habitats for wildlife, birds, and marine life, giving conservation officers equally diverse opportunities to patrol everything from inland waterways and protected wetlands to high desert terrain. Within these different biomes, Washington’s fish & wildlife enforcement officers support conservation efforts through both a purely law enforcement approach like investing and setting up stings to bust illegal hunting and harvesting operations, to a more scientifically-focused approach like conducting surveys of fish and game populations and observing migratory patterns. Fish & wildlife enforcement officers also interact with the public to conduct hunter safety, water safety and even firearms training classes. Officers also speak to students, scout groups and other local organizations about challenges to conservation efforts in Washington. Men and women who have a passion for both law enforcement and working outdoors make ideal candidates for fish & wildlife enforcement officer jobs. In addition to intercepting poachers and advocating for the protection of Washington’s diverse habitats, these officers also partner with other agencies on everything from public education on conservation efforts, managing volunteer programs, investigating wildlife crimes, and emergency management preparedness drills. This diverse set of roles means that applicants should be prepared to highlight their expertise in both law enforcement and conservation to increase their chances of being selected as a candidate. Citizenship: Proof of U.S. citizenship or of permanent resident alien status for those who are eligible and have applied for citizenship. Must be a resident of Washington State at the time of hire. 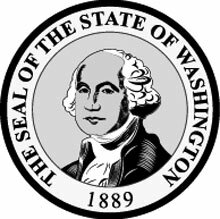 License: A valid Washington-issued driver’s license is required. Employees agree to participate in good-driver training programs through the state as they arise. Academic Credentials: High school diploma or its equivalent as well as a bachelor’s degree in a relevant field like criminal justice or the natural resource sciences, OR an associate’s (2 year) degree and two years of full-time employment working in natural resources, OR an associate’s degree and three years of recent active military service. 720 hours of training on basic law enforcement tactics to prepare recruits for the authority to arrest, pursue, and use force as municipal police officers and sheriff’s deputies. One month of in-house training, conducted in Olympia, Washington wherein recruits learn the specifics of law enforcement as it applies to the role of game warden - sworn to serve and protect the state’s wildlife and natural environment. 12 weeks partnered with an experienced fish and wildlife enforcement training officer. Hearing: The applicant must have hearing adequate to perform all the essential duties of the role as game warden, including long distance, directional and voice conversation hearing. Vision: Visual acuity not less than 20/40 in each eye corrected. Normal color vision and possessed of a peripheral field of view of at least 120 degrees horizontally and 100 degrees vertically. Washington State’s fish & wildlife enforcement officers earn exceptionally high wages compared to game wardens in the rest of the country, with a median salary nearly 32% higher than the national median. Even Washington’s fish & wildlife enforcement officers earning salaries that fell within the bottom 25% earned more than the overall national average for the profession.